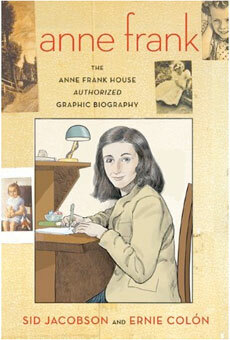 Summary (from the inside flap of the book): Drawing on the unique historical sties, archives, expertise, and unquestioned authority of the Anne Frank House in Amsterdam...the author and illustrator have created the first authorized graphic biography of Anne Frank. 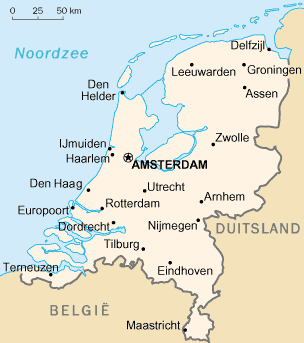 their account is complete, covering the lives of Anne's parents; Anne's first years in Frankfurt; the rise of Nazism; the Franks' immigration to Amsterdam; war and occupation; Anne's years in the Secret Annex; betrayal and arrest; her deportation and tragic death in Bergen-Belsen, the survival of Anne's father; and his recovery and publication of her astounding diary. Review: What a great companion to the Diary of Anne Frank! I don't have a lot to say about this book except that it does a fantastic job at combining historical background with Anne's life and diary. 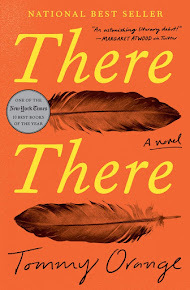 The book begins with Anne's parents meeting for the first time and takes the reader all the way through to the death of Anne's father at age 91. What I liked most is that the book is based on quotes from Anne's diary as well as from interviews with Miep Gies, Anne's father, and others who knew her. It is historically accurate with "snapshots" inserted into the story to help the reader understand what was happening in history while Anne was growing up. 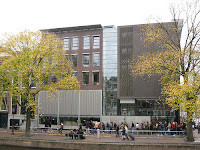 I have visited the Anne Frank house in Amsterdam, Holland (pictured below). If you ever have the chance, it is well set up, interesting, and informative. It's amazing to see where they all hid after having heard the story so many times. I went to the Anne Frank house about five years ago and it was one of the things that stood out to me from my whole Europe trip. So many emotions from not only reading her diary, but also being there. Glad to hear you enjoyed this graphic biography. I hope to one day visit the Anne Frank house. 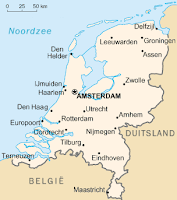 That and Auschwitz are the two places I want to visit. I loved the "snapshots" added in this graphic book - really helped put things in context.